The Industry internship Cell of Trident has researched and documented 24 industries for meeting the needs of students for Industrial Internship Programmes. The successful student internships have been completed in TCS, SPARC, CSM Technologies, Honeywell, Inland Engineers, NALCO, Paradeep Port Trust, NTPC etc. As a standard requirement, the students submit the final internship report on completion of their internship. The academic internship Cell of Trident under the guidance of a professor of the institution has researched and documented 75 institutions of repute in India and abroad where students are eligible to apply for summer internships. During summer 2014, many of students had registered for the academic internships (with and without scholarships) and trainings ranging from 6 weeks to 8 weeks. The duration varies between 6 to 8 weeks starting from May and extending till last of June. The recruiting firms include Core Engineering Firms, IT sector, Govt. sector, Private and public sectors and prestigious institutions/ universities like IITs, NIITs IISc etc. Students take up academic internships to gain first-hand experience of the professional knowledge and research temperament. 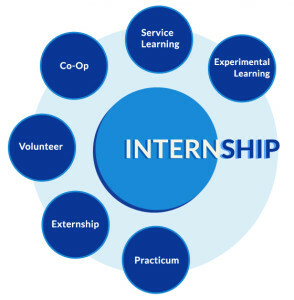 These internships help the students take on all ropes of academics for higher studies and research work in later days. On an average more than 70% students have shown a keen interest in the industrial internship which reveals towards a practical experience and technical skill set in real time industry to bridge the existing gap between academia and industries to make the students industry ready and augment their employment opportunities in job markets. We have some of the reputed companies and universities as given hereunder for the last year’s internship. As per the current year 2016-17 internship, a sizable no of good industries have been finalized and the follow-up process is going on to complete the same for interns well before the summer vacation around the last week of May’2016. 2 Bhusan Power & Steel Ltd.
4 BHARAT HEAVY ELECTRICALS LTD.
7 Bharat Sanchar Nigam Ltd.
18 Hindalco, Hirakud Power Plant. 24 INSTITUTE OF URBAN TRANSPORT. 28 KANTI BIJLEE UTPADAN NIGAM LTD.
33 Mahanadi Coal Fields Ltd.
35 NATIONAL THERMAL POWER CORPORATION LTD.